November/December 2016 and February 2017 – HUGE OFFER! This Winter, I’m announcing a huge one-off special offer. 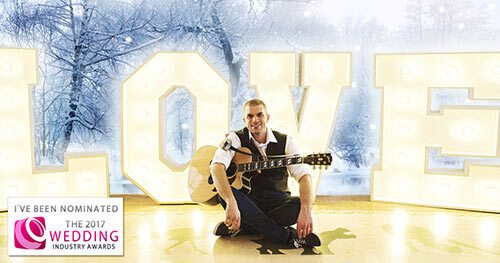 I’m offering a massive 50% off the performance fee for all remaining dates in my diary. That’s HALF PRICE! This is the first and probably the only time I’ll ever offer a discount like this, so if you’re getting married in November 2016, December 2016 or February 2017 – you may be able to take advantage of this amazing offer. For the full price list click here – and take 50% off all the regular prices! Please note travel charges still apply, so for example – if you were to book the ceremony + drinks reception package and your venue was 30 miles from BS5, where I’m based, the total fee would be £225 + £25 travel = £250. For a full list of travel charges see the FAQ section. Availability update: November and December are now full. I’m not taking bookings in January, but there are still dates available in February. Contact here to check availability. 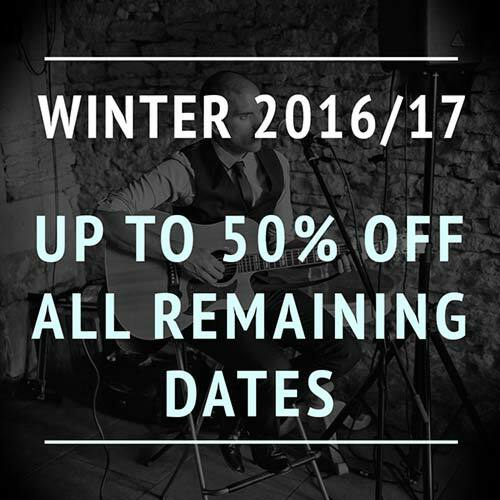 This is a limited offer, which will only run for a short time – so if you would like to book one of the most in-demand singer/guitarists around at a bargain price – please get in touch! 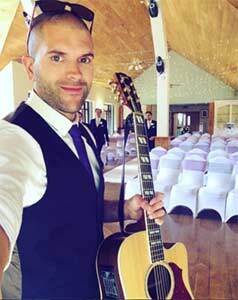 This entry was posted in News, Wedding Guitarist Blog and tagged acoustic, Bristol, cheap, discount, entertainment, guitarist, list, live, music, musician, offer, price, pricing, singer, Somerset, south, southwest, special, voucher, wedding, weddings, winter by Pat McIntyre. Bookmark the permalink.